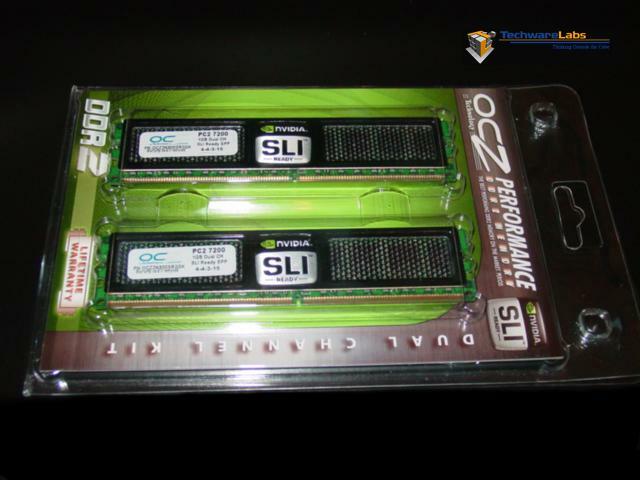 We recently picked up an OCZ dual channel ram kit, consisting of twin PC2 7200 NVIDIA SLI READY EPP ram with 4-4-3-15 timings at 900MHz for a review. Normally OCZ has specialized packaging when displaying their latest ram offerings, and this one did not disappoint us at all. This OCZ ram has been signed off by NVIDIA for use in high speed SLI applications with the latest motherboards requiring PC2 ram and SLI conditions. This package was vacuum-formed with a very beautiful bright green and silver metallic color inner card with the NVIDIA SLI logo in the upper right corner which nicely displayed the ram in all of its splendor. 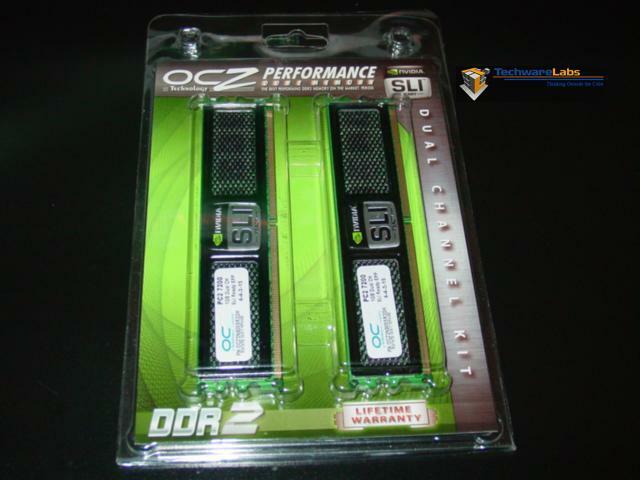 We would also like our readers to notice that OCZ provides lifetime warranty on their line of ram, as is clearly displayed on the packaging, so you can never go wrong when you purchase your ram from OCZ.